The Pilot Namiki Iroshizuku Fountain Pen Ink Bottle. Introducing Iroshizuku bottled ink for Namiki and Pilot fountain pens. 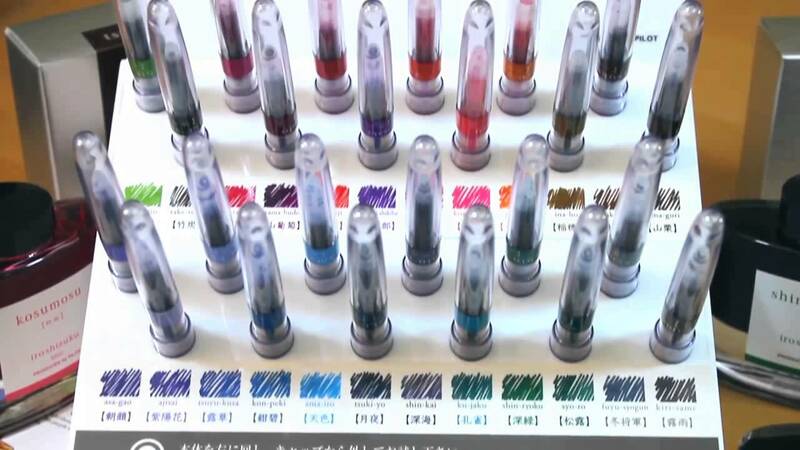 The name “Iroshizuku” is a combination of the Japanese words “Iro (Coloring),” expressing high standards and variation of colors, and “Shizuku (Droplet),” that embodies the very image of dripping water. Each Iroshizuku bottled ink name derives from the expressions of beautiful Japanese natural landscapes and plants, all of which contribute to the depth of each individual color.